The camera on the iPhone is a very good alternative to a digital camera for a lot of people. It only requires you to carry one device, your pictures can easily be shared and uploaded to social media, and it is simple to use. 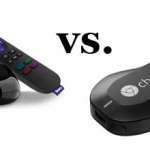 But there can be some privacy concerns for parents of children with iPhones, and you may decide that it is in your and your child’s best interest to prevent the camera from being used. 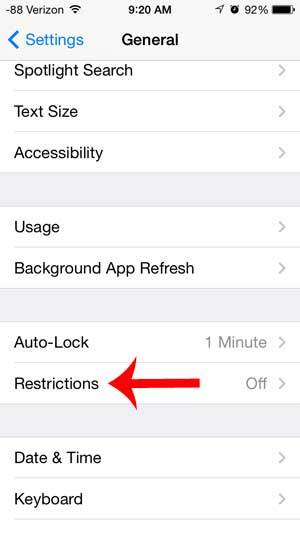 The iPhone has an option that will allow you to do this, and it is called Restrictions. 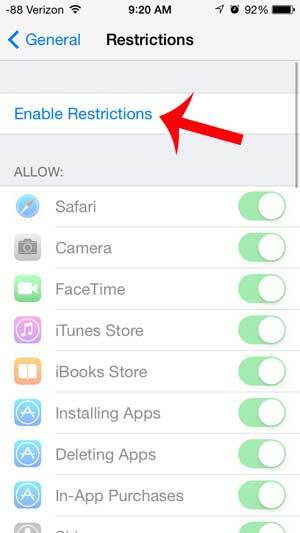 You can follow our guide below to learn how to enable Restrictions on an iPhone and disable the camera on the device. 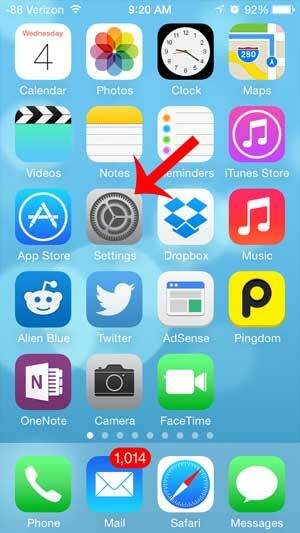 The steps below were performed on an iPhone 5 that was running the iOS 7 operating system. 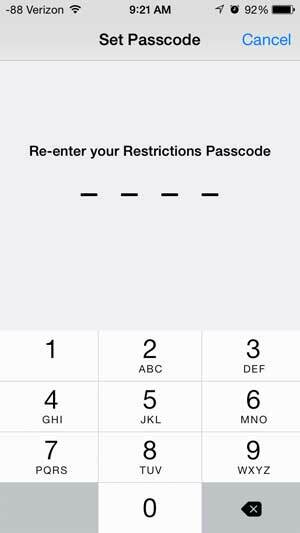 Screens and steps may be different for earlier versions of iOS. 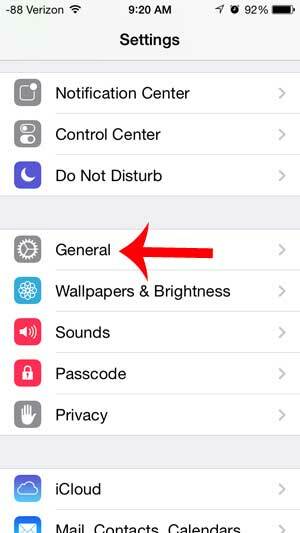 These steps will prevent anyone from using the camera on the phone, including any other apps that might need the phone, such as FaceTime. If you still want other apps to use the camera, then you will need to leave the Camera enabled. 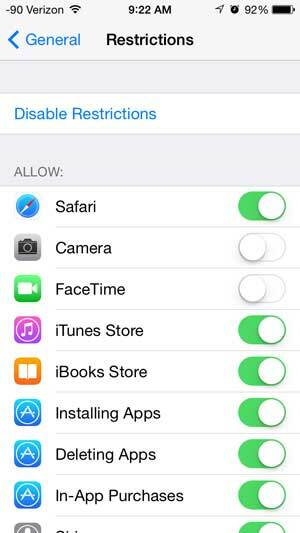 For example, this article will show you how to disable FaceTime on your iPhone, which will leave the Camera enabled. Step 2: Scroll down and touch the General button. Step 3: Scroll down and select the Restrictions option. Step 4: Touch the blue Enable Restrictions button at the top of the screen. 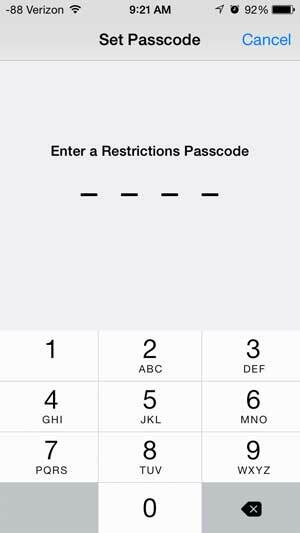 Step 5: Create a passcode that will be required to access this screen and make changes to these settings on the device. Step 7: Touch the button to the right of Camera. 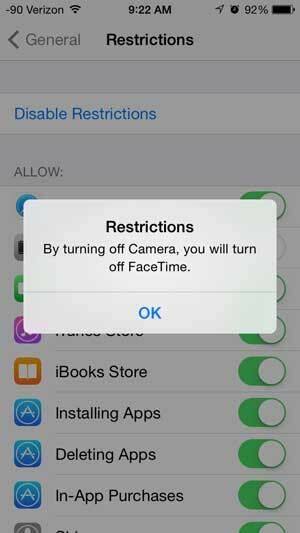 You will get a pop-up notification like the one below, letting you know that this will turn off FaceTime as well. 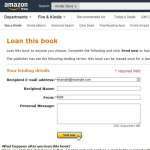 Your screen should look like the image below once you are finished. Any feature that is disabled on this screen will not have any green shading around the button. 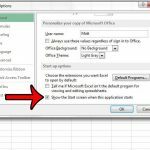 Do you have an iPad that you child uses, and you want to be able to prevent them from doing certain things on the device? Click here to read our article about setting up an iPad for a child.